Layering during the fall and winter is truly an art to be mastered—especially when temperatures vary so differently on a day-to-day basis. One day it’s 20 degrees, and the next day, it's 40 degrees. And we all know how much of a difference even five degrees can make. 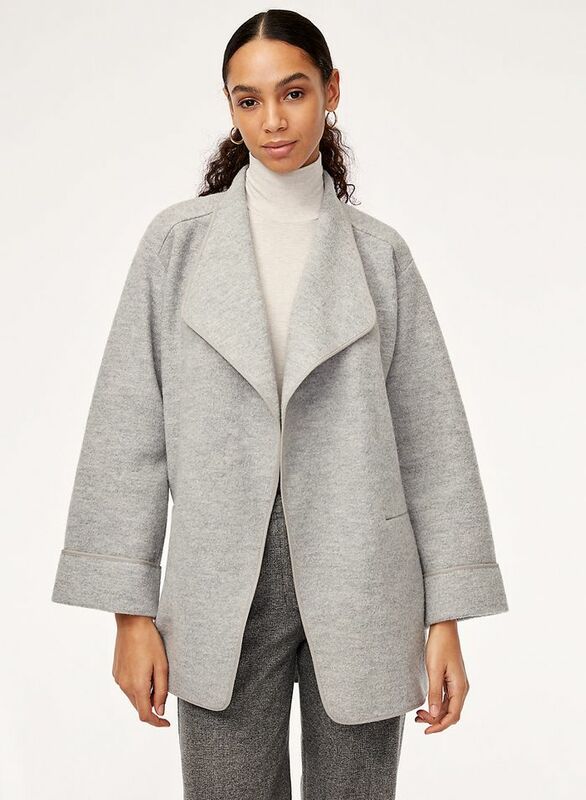 So, when it comes to purchasing outerwear you may always find yourself with either way too heavy and bulky pieces or jackets that are too light to handle Mother Nature making you over or under layering. Don’t worry—we’ve been there too. However, there’s a group of jackets that are perfect for those tricky days when you forget how to dress appropriately for the weather. We’re talking about lightweight jackets. The important thing to take into consideration when thinking about acquiring one is the fabric. Shy away from cotton and denim, since those aren’t made for the winter, and keep an eye out for jackets that are lined with faux fur or shearling or fabrics like leather and wool. That way, you can keep the layers to a minimum while still staying warm. Plus, by being so lightweight, you can either have it be your outer layer, or layer a coat over it or a fleece pullover under. So, with the warmest lightweight jackets ahead, you can style them however you want while never letting the cold get the best of you (and your style). You'll wear this jacket a lot, trust us. Black jackets are always the answer. Go full-blown Western by pairing this jacket with your cowboy boots. Don't be fooled this jacket is padded. Florals can be groundbreaking when on puffer jacket. Your Canadian tux found it's new lightweight jacket. Hi, we need this jacket in our closets now. Puffer jackets don't have to be too puffy. There's no such thing as too much plaid in one's closet. You can always count on The North Face for a great lightweight and warm jacket. Switch your denim jacket with this cozy, lightweight sherpa. This jacket will keep you warm while adding a bold color and shape to your outfit. Style this structured jacket under your coat in colder days. The only jacket you'll need when paired with a good sweater. Find more cozy jackets here.